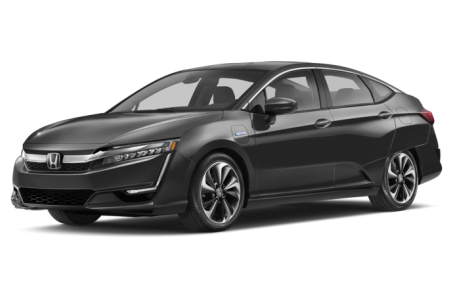 The 2018 Honda Clarity Plug-In Hybrid is an all-new version of the midsize Clarity sedan. It is powered by a combined 212-hp, 1.5-liter four-cylinder engine and an electric motor mated to an electronically-controller continuous variable transmission. The 17-kWh lithium-ion battery can be charged in as little as 2.5 hours from a 240-volt source. The Clarity Plug-In Hybrid has combined gas/electric driving range of 340 miles.